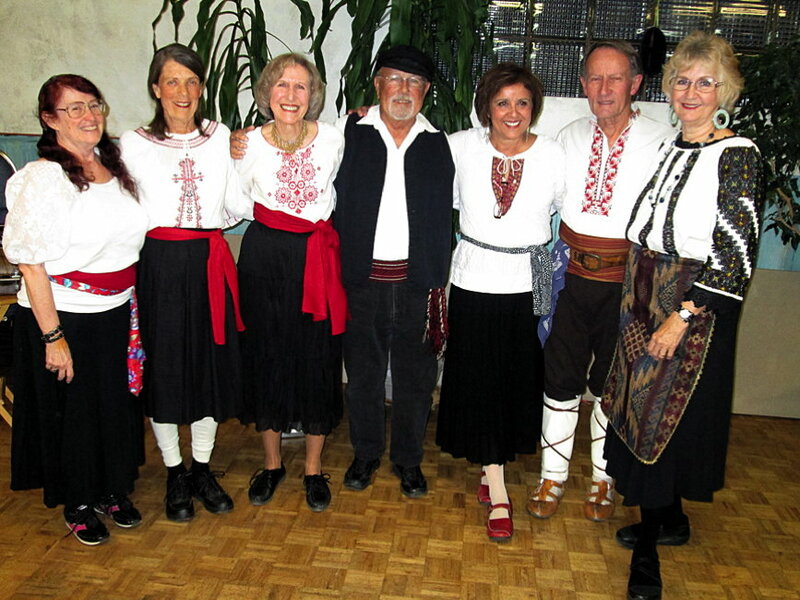 Club Membership - Folk Dance Federation of California, South, Inc.
Federation Member Clubs do not restrict membership because of race, creed, or color, and are under adult supervision (small children must be supervised by an adult). To apply for membership with the Federation as a Member Club, you must complete and submit various Club Membership and Dance Insurance forms and meet the standard criteria as set forth in Sections A, B, C, and D of the Federation bylaws. Section E of the bylaws sets forth the three separate categories of Club Membership: Regular, Multiple-Night (or Multiple-Day), and Exhibition. The Federation also offers Associate Membership for interested individuals and organizatons. To make new friends. To learn new dances. To be eligible for scholarships to folk dance camps and institutes. To get coverage by dance insurance. To obtain access to video and print libraries of music and costumes. The club must indicate time, day, and place of meeting. The club must be under adult supervision. The club must indicate a contact and a delegate and alternate delegate to attend Federation Council Meetings. Membership in the club shall not be denied because of race, creed, or color. The club must accept the Dance Insurance program adopted by the Federation or secure an equivalent program and provide proof of insurance to the Insurance Chair. An authorized representative from the club must attend the Federation Council Meeting at which the club's membership application is presented. At least one Federation representative shall, when feasible, attend one of the club's folk dance meetings. When steps 1 through 4 have been completed, the Federation Council shall vote on the application. Annual renewal  Club Application or Renewal (available under "Publications" in the "Package"), signed by an officer the club, verifying compliance with the standards of club membership, as defined in item "A" above, must be submitted with the required renewal and Dance Insurance Fees. Participating Status shall be instated when a certificate of liability insurance coverage has been received from the insurance provider and the club's delegate or alternate atends the second of two Federation Council Meetings. Attendance shall be considered valid when the delegate or alternate signs in within 45 minutes of the scheduled starting time of the Council Meeting. A club maintains Participating Status until such time as the delegate or alternate misses three (3) consecutive Federation Council Meetings. If a meeting is held without a quorum, the attendance by a delegate or alternate to such an unofficial meeting shall count towards the number of meetings attended. A club must return a signed form to the Treasurer verifying compliance with the standards of club membership, and accompanied with the annual renewal fee. A club's membership is terminated when the renewal fee is not submitted within one month of the due date. To renew membership, a club must submit the signed renewal form, pay the annual dues, and pay a reinstatement fee as specified in the Federation's Standing Rules. Regular Club Membership  The club must have a minimum membership of six (6) or more persons, must not meet more than once per week, and must meet at least nine (9) times per year for the purpose of recreational folk dancing. Multiple-Night Club Membership  The club must meet as a group at least twelve (12) times per year for the purpose of recreational folk dancing. Exhibition Club Membership  The club must meet at least nine (9) times per year for the purpose of preparing or exhibiting folk dancing.